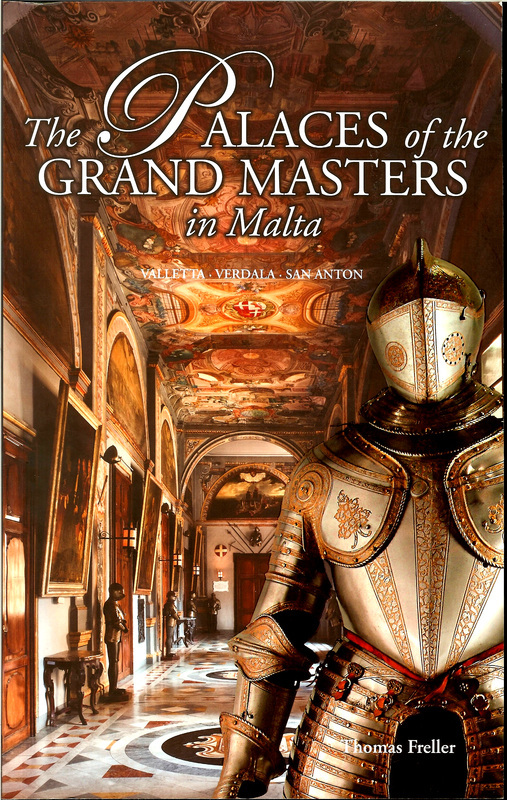 Dominating Palace Square, the Grand Master's Palace has always been the house of government in Malta, first by the knights, then the British and now hosts the President’s office. When parliament is not in session you can visit the palace for free, and there is an awful lot to see in here. 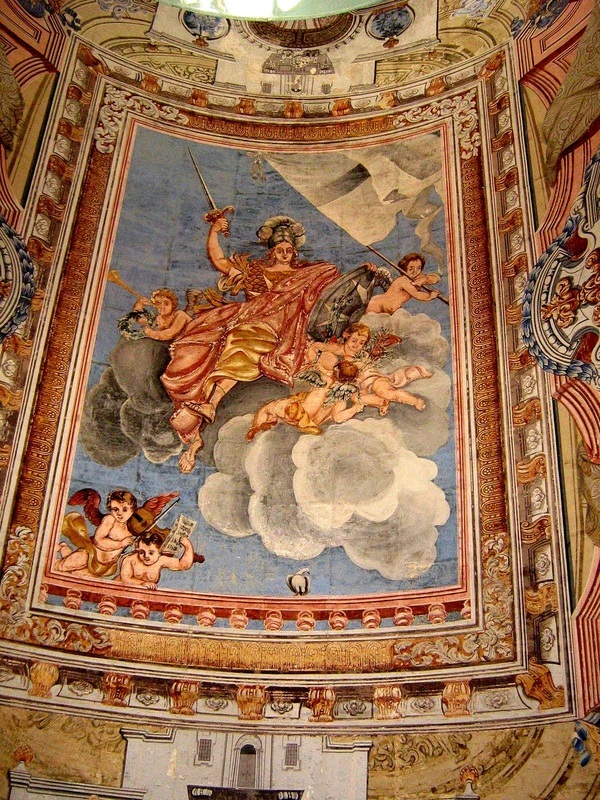 In the interior of the palace is the famous Council Chamber, adorned with valuable Gobelins tapestries woven in France for Grand Master Ramón Perellos y Roccaf. The other rooms and passages of the palace are splendidly furnished with art objects, old coat of arms and armour. 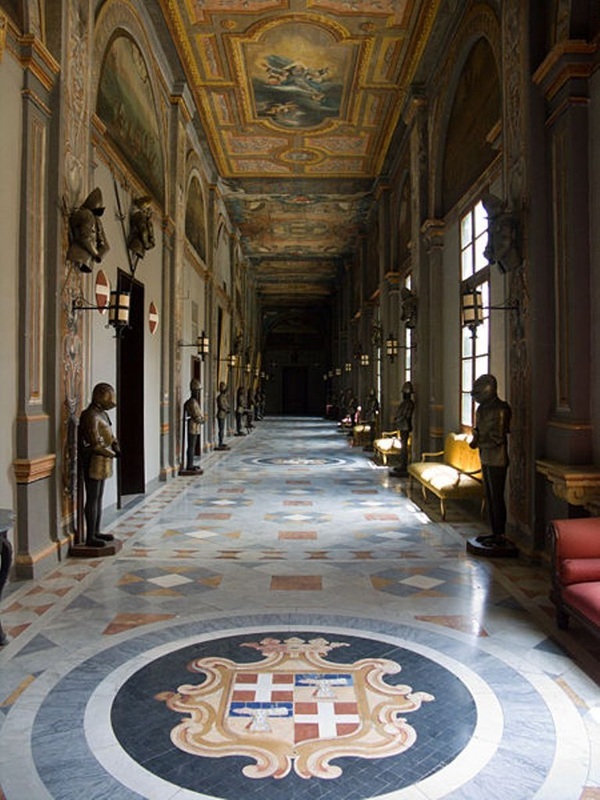 Particularly notable are the former Hall of the Supreme Council of the Knights, which hosts fine frescoes and the Hall of the Ambassadors, where portraits of Grand Masters and European rulers hang. On the basement floor is the Armoury, one of the largest collections of its kind in the world, though reduced to a fraction of its former size by the depredations of the French. Among its principal treasures are a suit of armour made in Milan for the Grand Master, Adrien de Wignacourt (1690-97) and a full-length panoply made for Grand Master Martin Garzes by Sigismund Wold of Landshut. 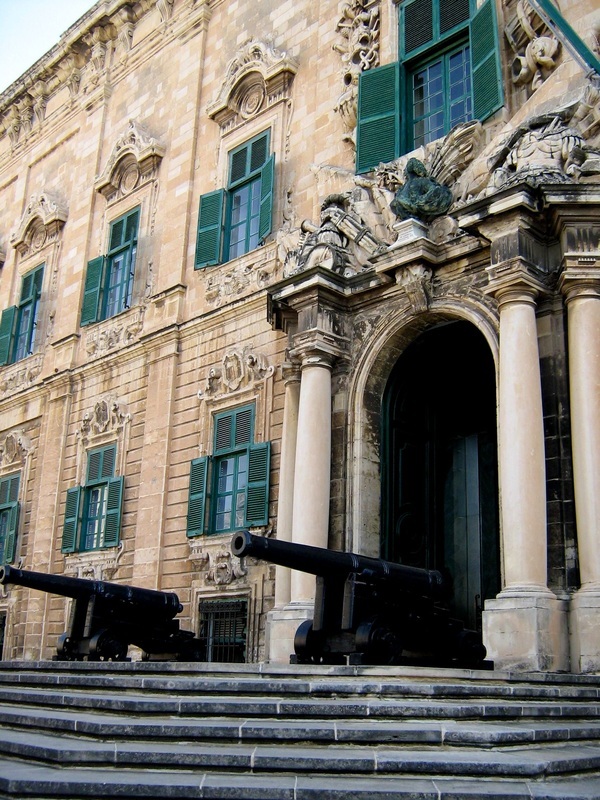 Designed by Girolamo Cassar but later remodelled under Grand Master di Pinto, Auberge de Castille, situated in Castille Place, is one of the finest architectural works in Malta, as evidenced by its spectacular façade. Finely proportioned and strictly symmetrical, the building was badly damaged during World War II but was later carefully restored. The building now houses the office of the Prime Minister. Construction of this Auberge in Republic Street started in 1571. The size of the building is deceptive, since it is subtly hidden in the decoration of the façade. It now houses the National Archaeology Museum with many fine examples of pottery, figurines, and original carved stones from various prehistoric temples. Built in 1629 as a private house in St Sebastian Street, it was subsequently purchased for the newly instituted Anglo-Bavarian langue in 1784. It has served as an army officers' mess, a school and a ministry. Situated in Independence Square, this is the oldest of the seven Auberges built by Girolamo Cassar, and one of only two which have survived in their original condition. Though externally plain, it contains fine Renaissance rooms. The building also housed the Prime Minister's residence and still contains the historic table on which Malta’s independence was drafted out. Originally designed by Girolamo Cassar, the building in Merchants Street, which is built around an arcaded courtyard, was considerably altered in the 17th century.